When one thinks of Android smartphones, Samsung, Apple, Motorola, and HTC come to mind. 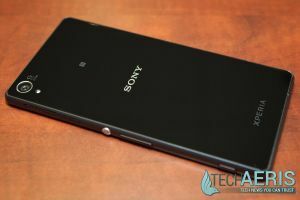 Other manufacturers have struggled recently with gaining market share, and Sony is one of those companies. We take a look at one of Sony’s recent smartphones to see how it stacks up against the more popular brands in our Sony Xperia Z3 review. We were sent the black version of the Xperia Z3, and when you take it out of the box you can’t help but notice how great it looks. The front and back are made of glass, and all around the outside is rounded aluminum which gives it a real classy finish. 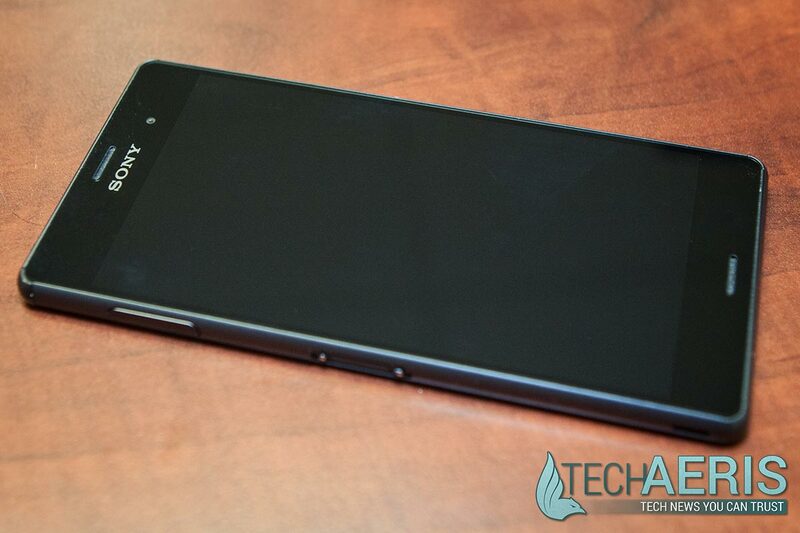 The phone is also super thin and is light and very comfortable to hold. 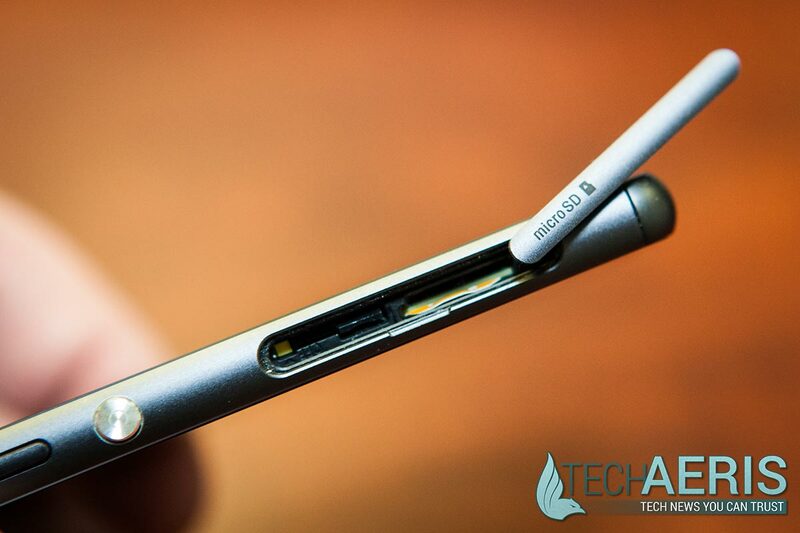 The next thing you notice is that aside from the headphone jack, every port is covered. This is due to the Xperia Z3’s IP65/68 water and dustproof rating. 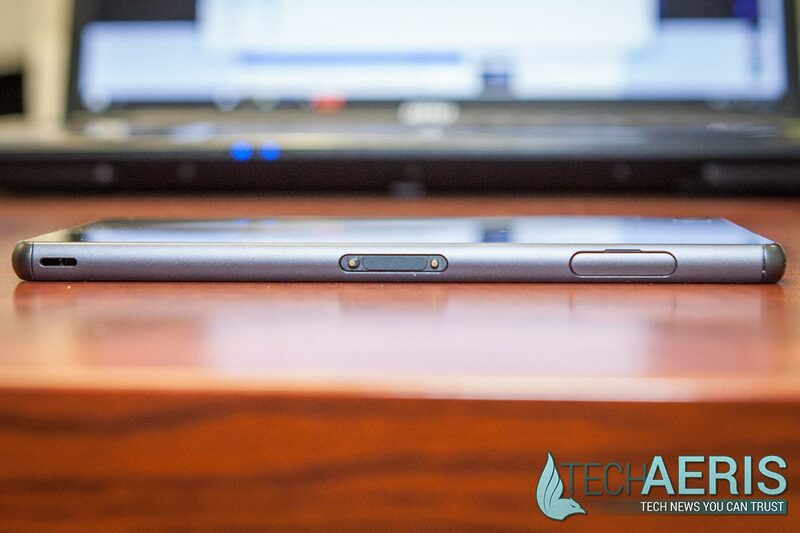 The right hand side of the phone features the microSD and SIM card slot near the top, power button just above the halfway point, volume buttons just below that, and a camera shutter button near the bottom. 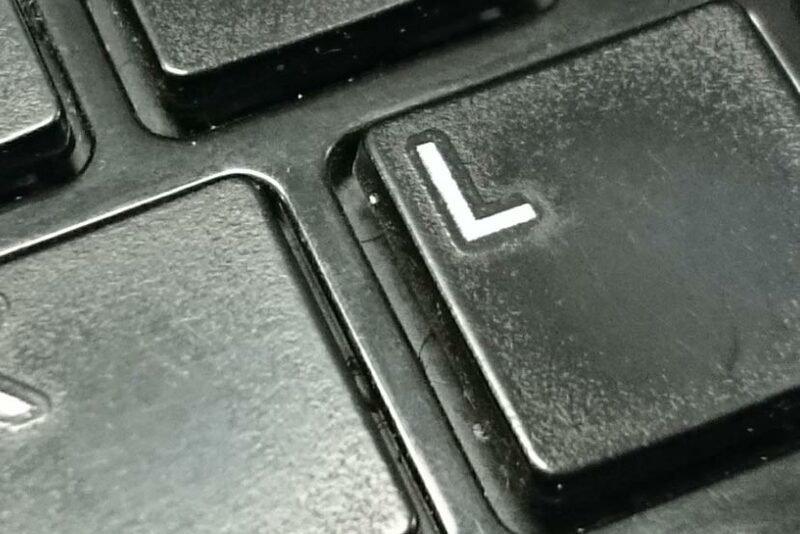 The silver power button is in almost the perfect spot for pressing with your thumb, while the camera shutter button is a nice addition when taking pictures in landscape orientation. 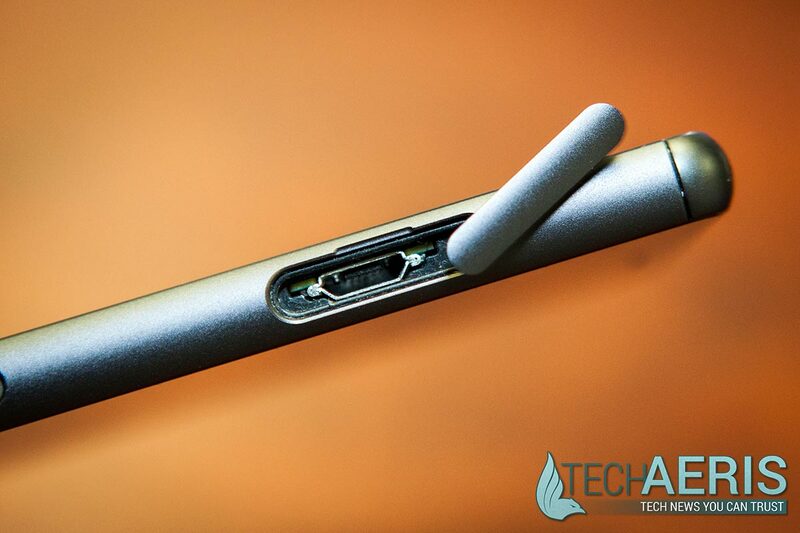 The left side of the phone features the microUSB port near the top, dock connector, and an inset for attaching a wrist strap. While it looks nice and adds elegance to the phone, the back being made of glass makes it slippery and I caught it slowly sliding off a slightly unlevel coffee table. The finish on the back isn’t as strong as the front either and if I owned the phone I’d most likely get a case to protect the back from scratches and to also give it some extra grip when laying on a flat surface. 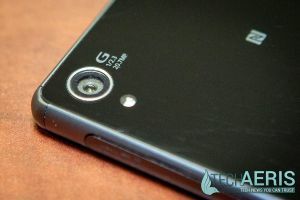 The Xperia Z3 features a 5.2″ FHD (1080×1920) IPS LCD display. While this isn’t the highest resolution device on the market, the ~424 PPI pixel density on the display is very crisp and clear. Colors are nice and not too oversaturated, and both videos and pictures look great on it. The display also features Sony’s X-Reality image software engine which, when enabled, provides further clarity and detail by reproducing missing pixels. 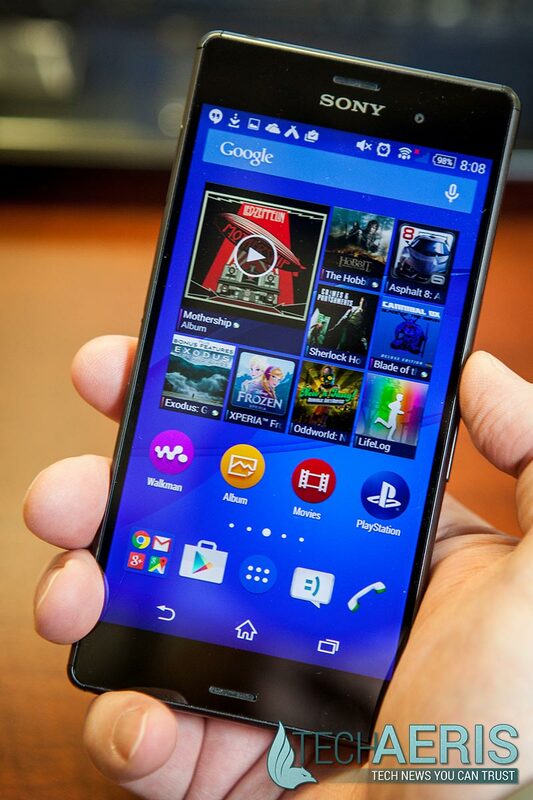 Currently running Android 4.4.4 (KitKat), the Xperia Z3 is slated to get an update to Android 5.0 Lollipop. Sony’s default launcher, Xperia Home, has minimal customizations over stock Android and looks very close to the default launcher aside from some icon changes. One of the customizations though is very useful and allows you to overlay specific apps like the calculator, screen capture, and others you choose over your main screen. Another useful change is the ability to show apps in the app drawer alphabetically, by most used, or even by your own custom order. The screenshot feature also allows you to clip just a portion of the screen, which is a handy feature. Unlike other devices, the ability to apply custom themes to the Android OS is included out of the box without the need for installing a third party launcher. The Z3 comes with basic colour variation themes, and many more custom themes are available from the Google Play Store. There are a few pre-installed apps such as Sony’s Walkman (music) app, PlayStation app, Xperia Lounge, TrackID (to detect what song you’re currently listening to), TrackID TV (same as TrackID but for TV shows), and a couple others. Third-party apps like Facebook, Twitter, LinkedIn, Kobo, AVG AntiVirus, Garmin Navigation, Crackle, Evernote, TV SideView, and OfficeSuite are also present. While they come pre-installed, all the third party apps, as well as the PlayStation and TrackID apps can be uninstalled. When firing up a movie, and then music, I was pleased with the stereo speakers on the device, especially when the phone is held or viewed in landscape mode. Featuring DSEE HX (Digital Sound Enhancement Engine) High-Res audio, the surround stereo sound is great and various types of music sounded equally good. The Z3 also features an FM radio app should radio listening on your device suit you. The Z3 runs great on KitKat, and apps and games launch and run smoothly. Using both the stock launcher and the Google Now Launcher from the Google Play Store, the device ran flawlessly and I didn’t experience any framerate stuttering or pausing while launching or switching apps. One of the great features not seen on many other smartphones is the fact that it is waterproof. Not water resistant, but IP65/68 rated to 1.5m for up to 30 minutes. 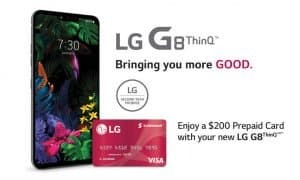 This makes the device great to take anywhere and allows you to take photos and videos with it in places you normally would be hesitant to take a phone like the pool or even the ski hill. The front camera is one of the highest megapixel cameras I’ve seen on a smartphone, coming in at 20.7MP. Outdoor images are fairly sharp and the color is great while using the default Superior Auto mode. The camera also boasts a maximum ISO of 12800, and it does better than most cameras in lower light situations. As with most devices though, it starts to suffer in dimly lit rooms but in an averagely lit room the photo quality without flash is quite decent. A 100% crop of an inside photo taken with no flash and Sony’s default Superior Auto mode camera settings. Instead of modes, the stock camera comes with a number of apps including Manual, Sound Photo, Multi Camera (record the same scene from multiple devices), Face In (add your face to any picture), Background Defocus, Sweep Panorama, and even fun features which let you add AR elements like dinosaurs and fairies to your images. Additional camera apps are available for download through the Google Play Store as well. Video recording features Sony’s SteadyShot technology, which stabilizes the video to help create smoother videos. 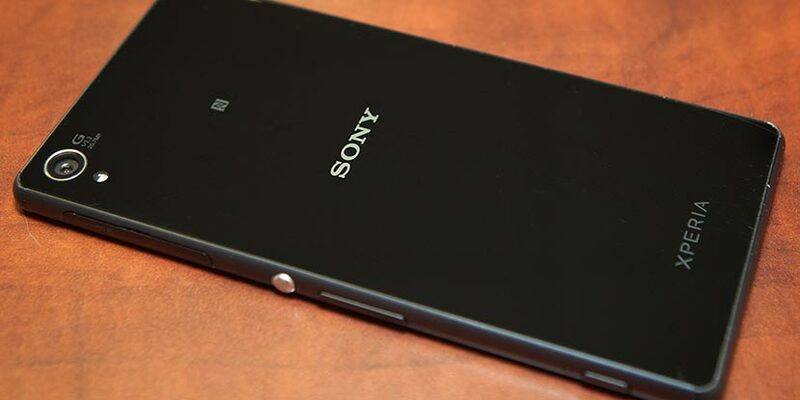 As far as video goes, the Xperia Z3 takes 4K (3840×2160) video. While I don’t have a 4K playback device (and the Z3 isn’t one either), the device recorded 4K video with no problems and viewed on a 1080p screen look fantastic. Unfortunately, the SteadyShot technology only works on videos recorded in 1080p and below. One of the camera apps that comes installed also allows you to broadcast video live to your YouTube account. Check out a short sample 4K video clip taken while dog sledding a couple weekends ago. You’ll have to excuse the shake, it was a particularly bumpy portion of the trail. While I don’t make or receive many calls these days, the reception and call quality on the Z3 was clear and there were no complaints on either end of the call. I honestly don’t know what Sony has done, but the battery like on the Z3 is simply phenomenal. I was able to consistently get well over a day on a single charge, often with 15-20% battery life left. We’re talking 26 hours with 4-5 hours on screen time while performing everyday tasks from checking email to hangouts, listening to music and playing the odd game here and there. And that’s without the battery saver modes that Sony includes which will extend your battery life even further. STAMINA mode allows you to extend standby (disables mobile data and Wi-Fi when screen is off), set it to activate at a specified battery percentage, customize which apps are active in standby, restrict device performance, and even has a mode to save power if the phone is used frequently to check time. Ultra STAMINA mode increases battery time by allowing only basic phone functions to work, and low battery mode disables functions to save power further when the phone battery is low. Being an Android device, the Z3 has full access to all the apps in the Google Play Store, as well as the Amazon App Store if you install it. The Xperia Z3 also comes with Sony’s Xperia Store ????. While we didn’t test any of the accessories for the device, there is the usual fare of cases and standard accessories for the Xperia Z3. One of the things that set it apart though is that if you own a PlayStation 4, you can access your PS4 console and play remotely on the Z3 using a DUALSHOCK 4 controller. 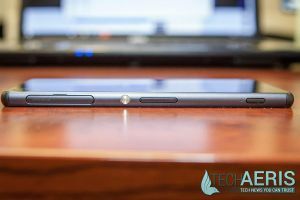 The Xperia Z3 definitely shines with it’s thin classy design, dust and waterproof rating, long battery life, great performance, and outstanding camera. 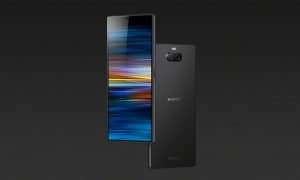 The price is relatively the same to other devices in the 5″ screen range, but it offers some additional features that other devices don’t. The Sony Xperia Z3 is an exceptional device across the board from performance to camera quality and sound. It has a great design, is light and really comfortable to hold and the water and dust proof rating on it truly makes this a phone that you can take anywhere. 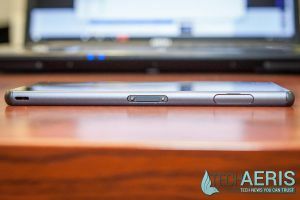 If you’re in the market for a new smartphone, you’d be making a mistake in not at least considering the Xperia Z3 as one of your choices. 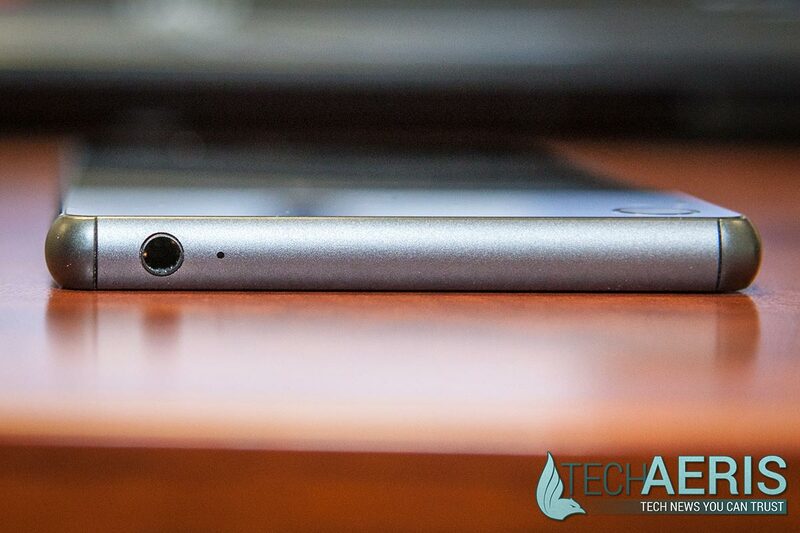 Battery life, design, sound, camera, waterproof, 4K video. 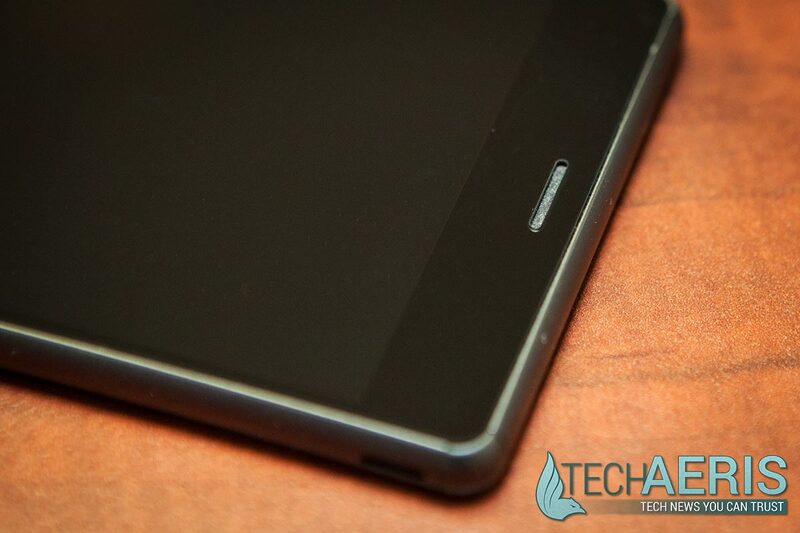 The glass back could use more scratch resistance to match the strength of the front screen. Sony's Xperia Z3 is a great looking and performing smartphone across the board. You'd be remiss to at least not consider it if you are in the market to replace your current device.